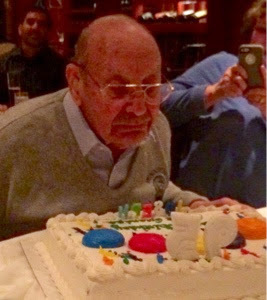 I'm going to brag about my Dad's 95 birthday dinner, which we held at Fleming's Steakhouse. I had decided on Fleming's and was reading on-line reviews for ordering suggestions. One reviewer mentioned that Costco carries Flemings gift cards at $80 for $100. I figured there had to be a catch. I imagined only being able to use one, or not being able to use the card for alcohol. I did not have any problems using multiple cards. Fleming's served my Costco birthday cake, which I had pre-ordered, and brought over that afternoon. I had special candles. Fleming's first presented the cake with candles, then cut and served it at the table. At my request, Fleming's printed menus without prices, even printing children's menus, which I didn't expect. I was so proud of the little girls, who behaved with great sophistication, only having to safari to the ladies room three times. In all of my...mumble...mumble..."many" years of driving, I had never actually seen the state regulators in action at a gas pump. 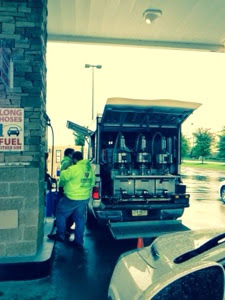 The Department of Transportation in each state tests the calibration of gas pumps to make sure they are accurate. I think regulators check both the measurement of the gallons and the octane, and I always wondered how that was done and why I had never run into anyone doing it. This morning I ran into these regulators at West Nashville Costco. The testing truck was pretty snazzy. Two things make me a quinoa fan - Alzheimer's research and the quinoa salad at Costco. I'm going to talk about Alzheimer's research first, so, if you would rather skip that, go directly to the last paragraph. Last week, an article was published in Aging, a respected research periodical, in which UCLA researchers announced the results of a study showing for the first time a reversal of memory loss. If you haven't been following this issue, memory loss is almost impossible to stop and has been completely impossible to reverse. For the first time, the UCLA program showed an ability to reverse symptoms. What did they do? Everything they could to improve the test subjects' health. Most scientific studies focus on one variable, manipulate that and document any changes. The UCLA study changed everything, from adding vitamins to encouraging tooth flossing, to adding an hour of exercise 4-6 times per week. Among these changes was a dietary reduction in simple carbohydrates. An article about the study specifically mentioned that test subjects substituting quinoa for rice. I had been equating quinoa with brown rice or couscous, but after hearing about the UCLA study, I did some resesrch and discovered that quinoa is more of a seed or nut than a refined grain like rice. 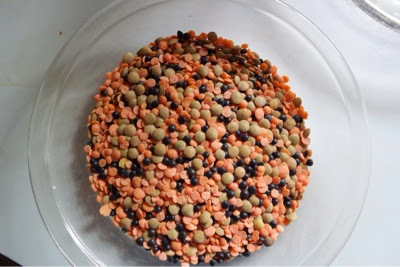 One cup of quinoa has 26 grams of protein compared to 5 grams in a cup of brown rice or 8 grams in a cup of couscous. Based on this, I've become convinced that quinoa is worth substituting for rice in most recipes. For some time, we've believed that complex carbohydrates are better than simple carbohydrates. Now, a possible connection with brain health makes complex carbohydrates even more attractive. 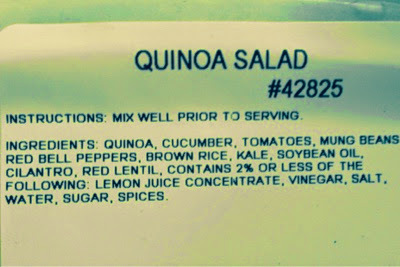 The Costco Quinoa Salad includes cucumber and red pepper, which add crunchiness, tomatoes, brown rice, and mung beans. The vinaigrette dressing tastes about half vinegar/lemon juice to half oil; the oil is soybean. The quinoa salad is $4.99 a pound and sold in two pound packages.